Oh what a wonderful world we live in! 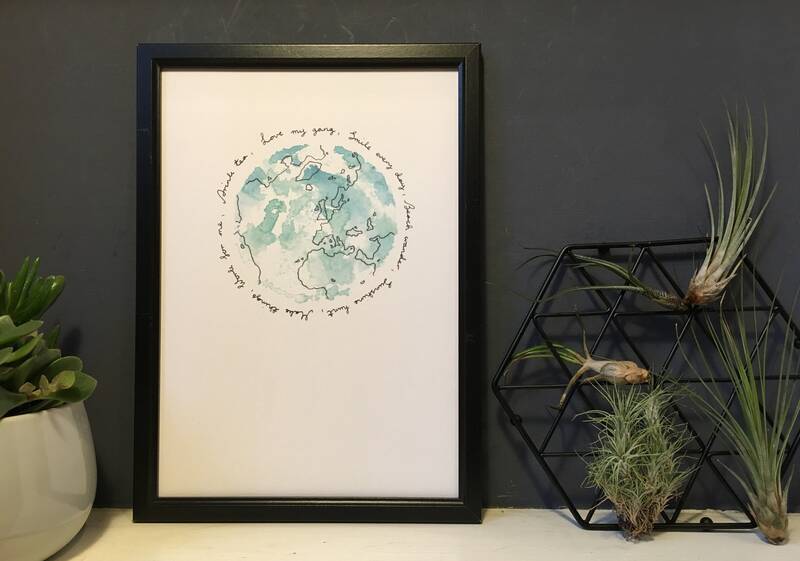 Celebrate our awesome planet with this beautiful print of planet earth! 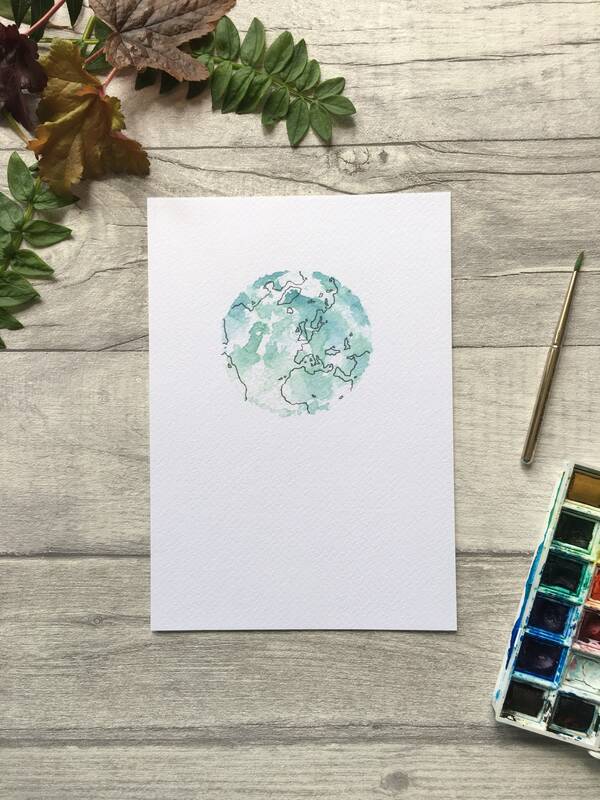 To create this happy globe, I used watercolour paint with hand cut stamps and stencils. 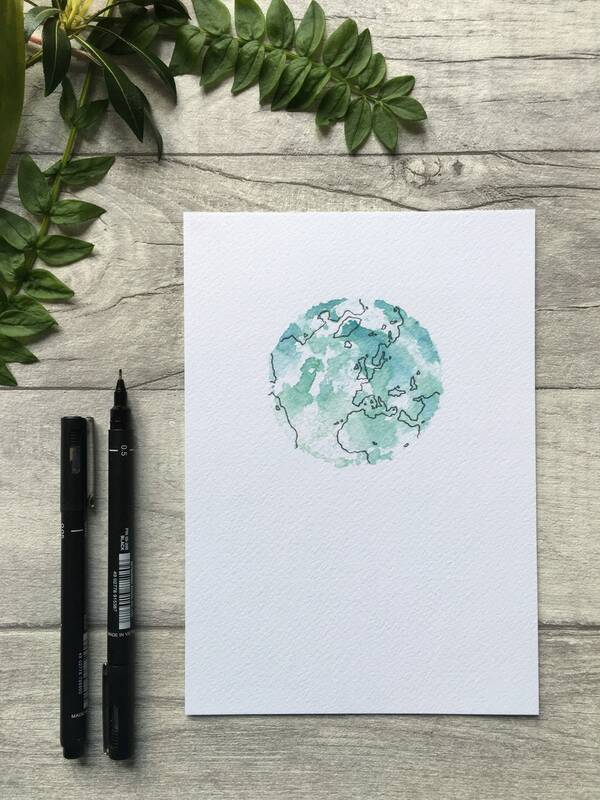 Every continent and country has been carefully illustrated using a fine black ink. 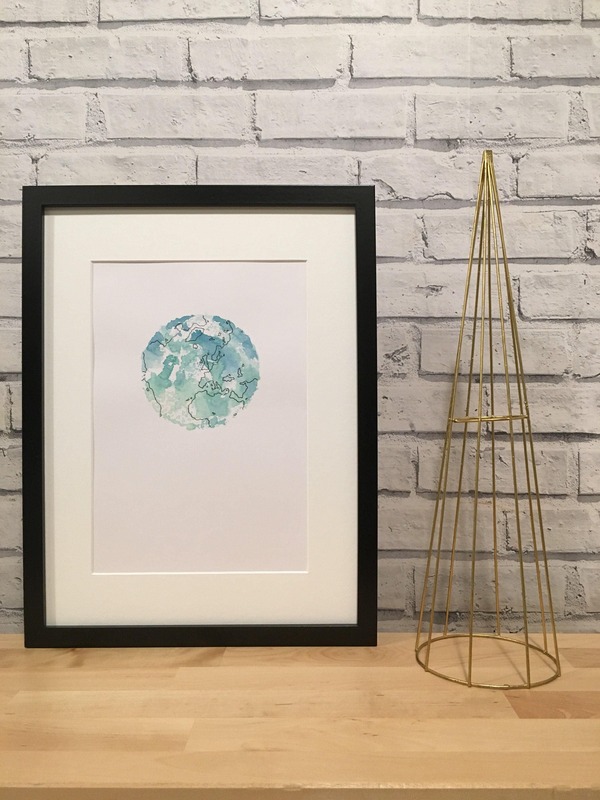 This is a digital print of the original painting, currently available in two sizes. 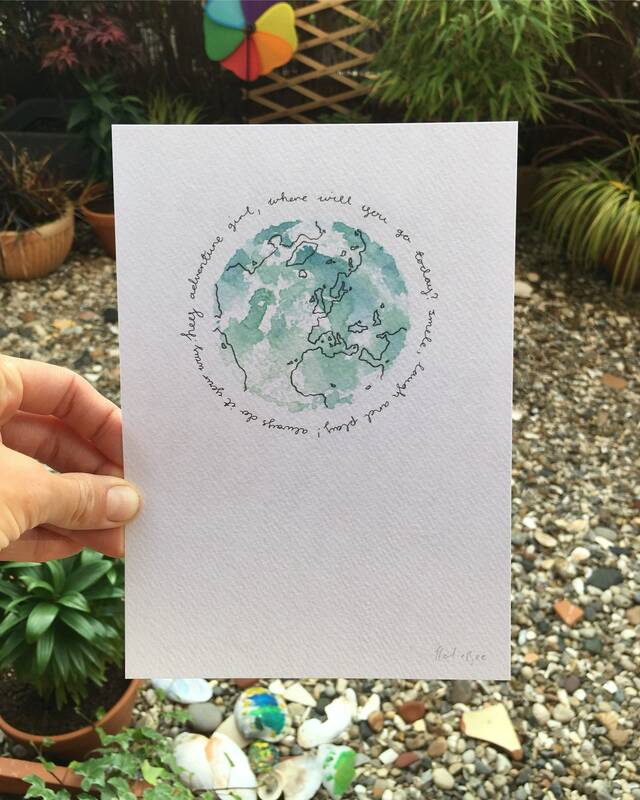 If you wish to customise your planet with some handwritten, inspiring words, please drop me a message. I would be delighted to help you create something extra special! 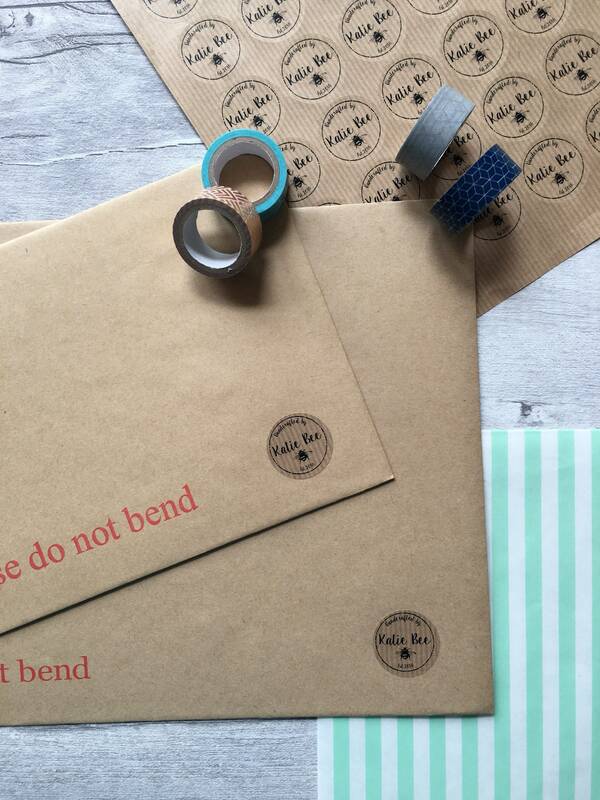 The print is sealed in a cellophane packet with a piece of greyboard, before being delivered in board back envelope! 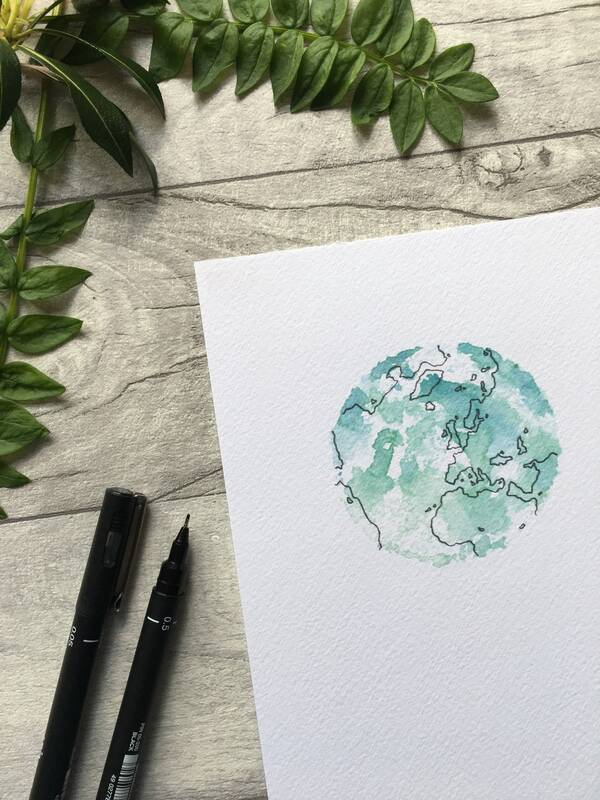 Each planet is printed on a piece of natural, beautifully textured 250gsm paper in either A4 or A5.